The Landings St. Lucia is a family friendly Caribbean resort offering beautiful scenery and relaxation at the 7,000-square-foot spa. Choose from many locally inspired body treatments and massages. Some of the spa treatment rooms have outdoor hydrotherapy terraces. Guests can also receive a treatment outdoors with a view. It's easy to get in shape with yoga and Pilates classes, exercise machines and with a personal trainer. The Kid's Club offers daily activities to younger guests, including treasure hunts, dance lessons, puppet making and more. This is the only resort on the island with its own private Marina, so if you are traveling by boat, this is a great place to stay. Guest accommodations overlook the marina. The hotel has 80 one-, two- and three-bedroom villas, and a sandy beach with sailboats, kayaks, and snorkeling equipment. Marina View - Luxury Villa Suites: Ranging from 950 square feet of living space for a one bedroom layout to 2,300 square feet for a three-bedroom layout, the suites offer plenty of living space to families and groups. The three-bedroom Penthouse suites are the largest and feature private plunge pools. Ocean View villa suites: These suite offer proximity to the ocean and scenic views. Size ranges from 1,400 square foot two bedroom houses to 2,300 square foot Three bedroom Penthouses. 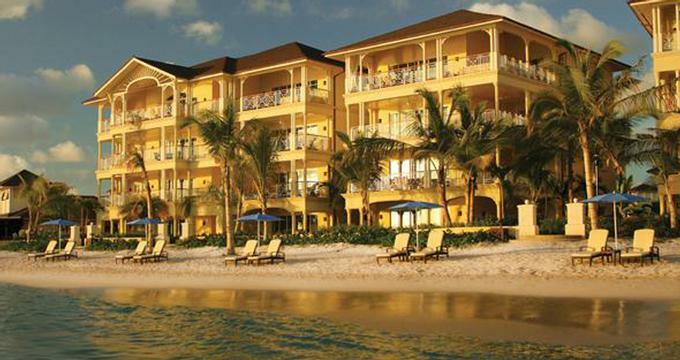 Beachfront villa suites: Enjoy spectacular views of Rodney Bay and easy access to the beach.